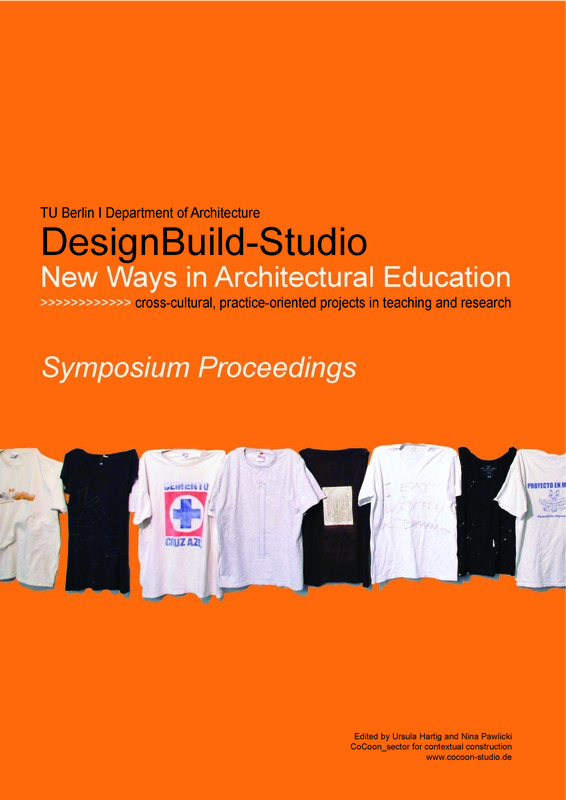 The symposium ‘DesignBuild-Studio: New Ways in Architectural Education’ hosted by CoCoon at the Technische Universität Berlin in December 2012, showed the compelling productivity of a holistic architectural education in service of culture, communities and innovation. It brought together DesignBuild-Studios and partners from around the world engaged in projects that are located within the country´s borders or seeking cooperation with partners in developing and emerging countries. This documentation includes curatorial approaches, the prompts and a directory of speakers of the ThinkLab discussions, the programme of the ‘Vernacular Aspiration Bus Tour’ and, as a teaser, two studio-profiles to be published in the book we are currently working on.